Every maker has a story. Be a part of NorCal Works's story by placing an order, leaving a review, and seeing your review appear here. 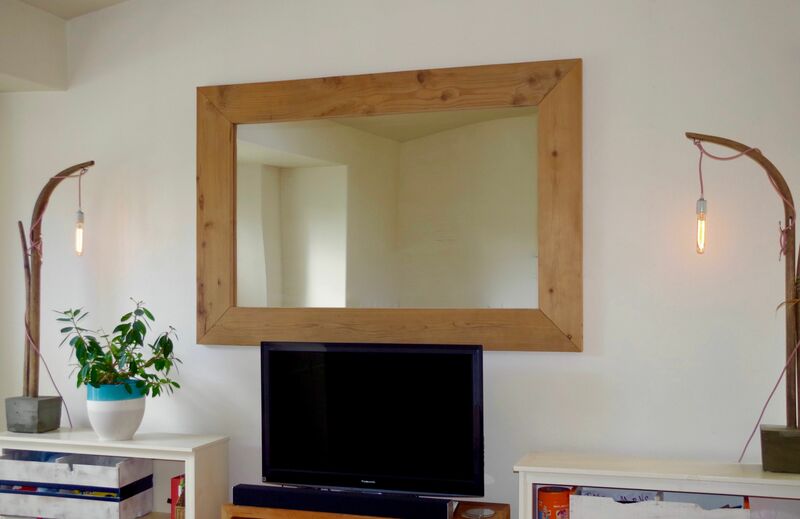 Very large solid Redwood mirror. The mirror frame is constructed with 7.25" x 1.34" reclaimed Redwood with mitre cut corners. The board dimensions are substantial and work well with a piece this large. The wood is unstained but is sanded and joined smoothly. This is a perfect piece to customize. I welcome requests for bespoke dimensions, wood variants (this would also look great in Cedar or Douglas), and custom finishes.